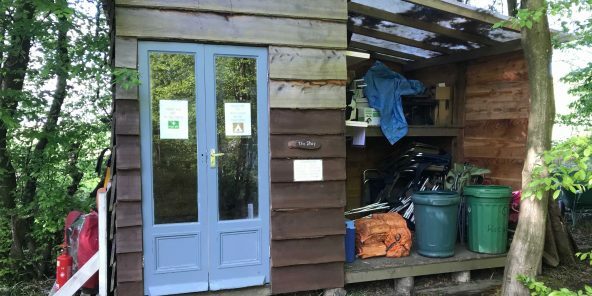 If you are coming to our West Sussex camping site it shouldn’t mean living without life’s little necessities. That’s why we’ve found a way to provide them and still be environmentally sensitive. The Mid-Sussex Council for the area in which our woodland campsite is located, place certain restrictions on our operation. This is due to the fact that we are located not only within Areas of Outstanding Natural Beauty (AONB) but also located in a semi-ancient woodland. The local authority dictates restrictions on our site facilities, their size, our infrastructure and the amenities we may offer. 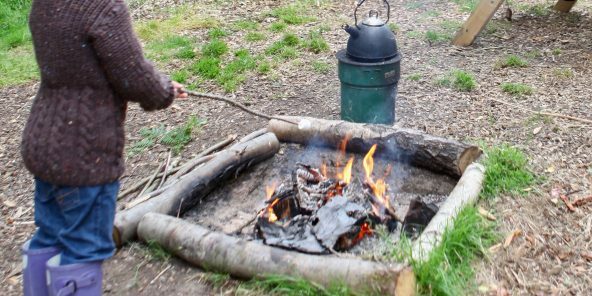 Keeping every item we provide in our bell tents in mint condition in a woodland without a power source provides its own challenges. 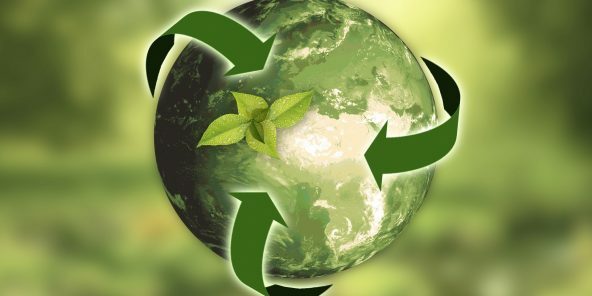 Using resources for their full lifespan is our ethos and a necessary practice in our small business. We endeavour to always provide clean, practical equipment and facilities, within the confines of our planning permission and the environment in which we operate. 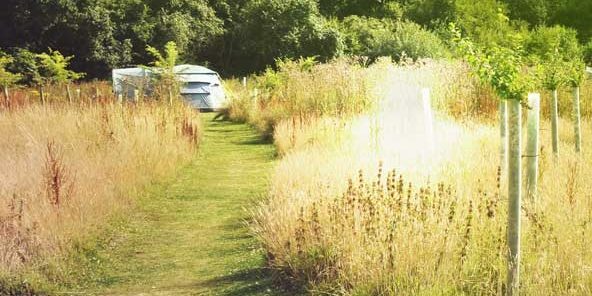 Our philosophy in the Mid Sussex campsite is to protect and enhance the environment. Yes we let you have a wash when you’re staying with us, although it’s just a little different. 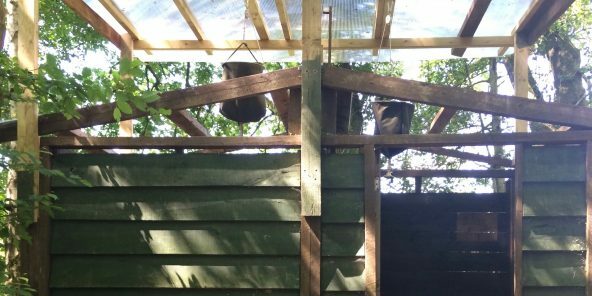 Two unique bucket showers on a pulley system (which everybody loves) in cubicles made from reclaimed timber. There’s even a spy-hole to watch the steam engines. Renewable energy is used to heat water in our wood burning stove or on your fire (or we do have a gas water heater). We provide eco shower gel and have a baby bath onsite. 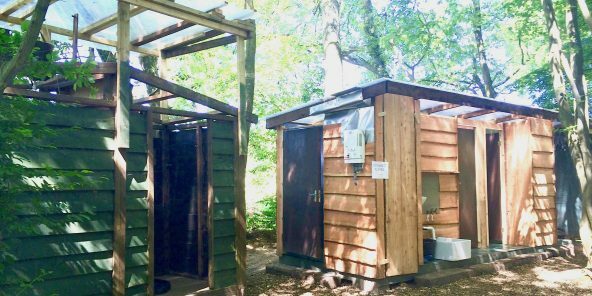 The campsite toilet building was constructed by a local carpenter and clad in locally-grown and milled larch. We have two custom-built flushing toilets and a urinal. We also have running hot water and we provide ecological hand soap. There is a covered washing up area to the side. The heart of our woodland campsite is the communal fire pit. The central camp fire is designed as a place for people to come together, cook food, swap stories, toast marshmallows and relax. brochures and flyers for local attractions. information about birds, trees, animals and wildlife. a library of books to read whilst staying, or swap a book with. 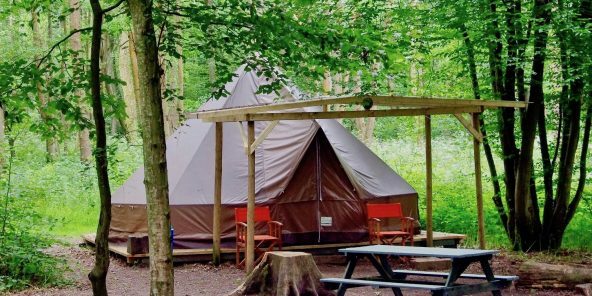 Our West Sussex campsite is located in a beautiful private semi-ancient woodland. The woodland is almost five acres, fenced around it’s boundary and surrounded by a 35 acre field, alongside the bluebell railway line. 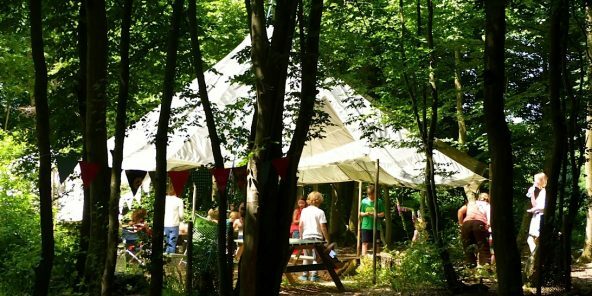 Our campers have exclusive access to the woodland, with lots of spots for children to explore, build dens and have mini adventures. British wildlife abounds, including deer, owl, rabbits, foxes, over 25 different nesting bird types, voles, bats and more. The campsite has drinking water points located around the campsite. Each bell tent is supplied with a 25-litre container with drinking water. The campsite also has a central washing up area located adjacent to the facilities. Hot water is supplied by our wood burning stove or the gas hot water heater located nearby. 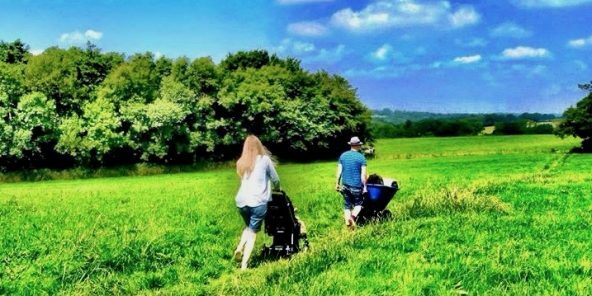 We have a number of 200-litre double wheeled barrows for you to transport your kit and luggage in and out of the West Sussex camping site. Once you arrive it’s a short walk across the surrounding field into the campsite. The wardens welcome you and show you the facilities and your bell tent. Our campsite is inaccessible by cars, as it’s tucked within a woodland. 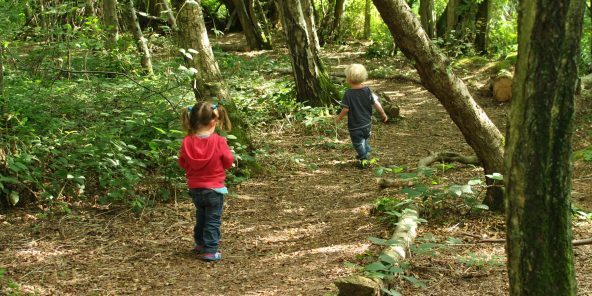 We prefer the ‘car free’ approach to camping, as it keeps the campsite safer for children to roam. The added bonus is the lack fumes and noise, and is far less disruptive on both the plants and animals living here full time. 2.9 metres in height, so easy to stand up in. Perfect for families of up to six or couples. Comfortable adults and kids beds. Carpet, coffee table, eco lantern, wood and matches. Kitchenware, kettle, tableware and cooking equipment. We have a general waste disposal system for our glamping bell tent guests. However we ask campers to minimise the non-recyclable waste they bring to site. The Secret Campsite Wild Boar Wood is off-grid. We do not use any mains electricity at the West Sussex camping site; lighting in the facilities is provided by solar lamps, wind-up lanterns, and low energy led battery units. We provide freezer blocks in the cool box supplied with your tent and renew these each day. 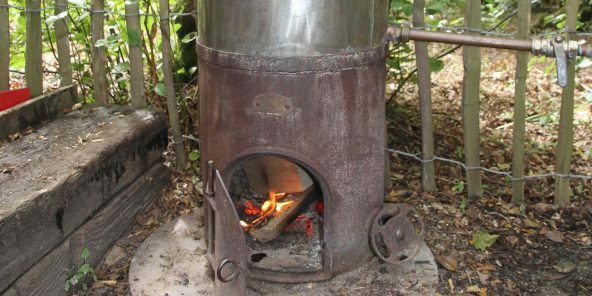 We use renewable energy to heat your water in our wood burning water stove, or use your kettle and fire, or we do have a gas water heater. 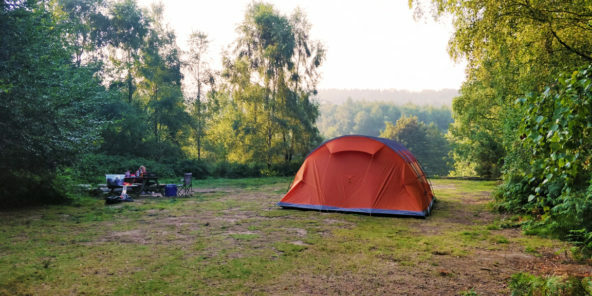 There is generally mobile and 3G signal onsite, although it can be sporadic, however we encourage campers to switch-off and minimise the use of devices.